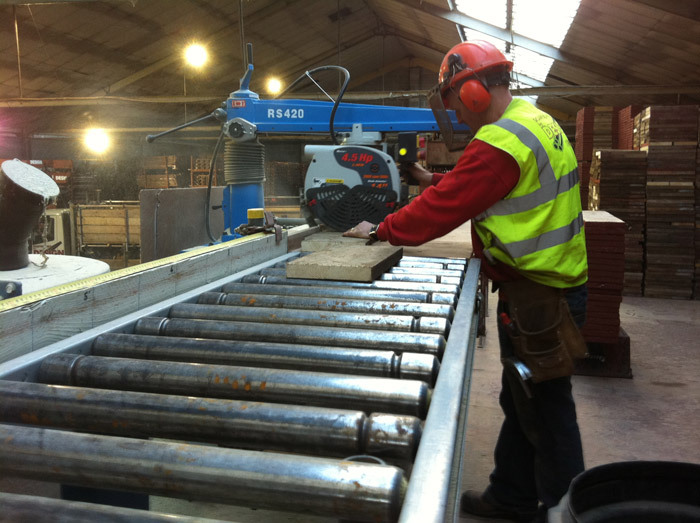 We believe that by maintaining our equipment to the highest of standards will reflect in the safety and presentation of our work. 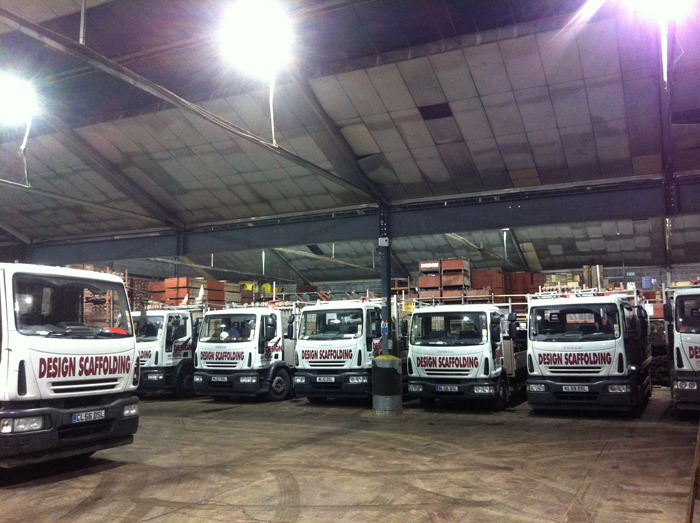 We have a team of dedicated yard people all of which specialise in certain equipment and look after their own aspects of the yard whilst also working as a team to ensure the day to day smooth running of the yard. 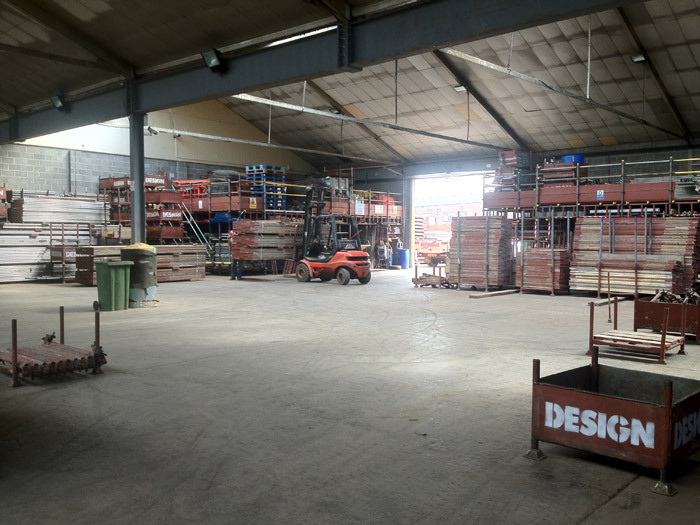 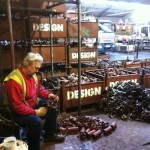 The yard team ensure that the equipment is serviced, maintained and ready for use. 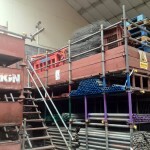 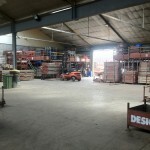 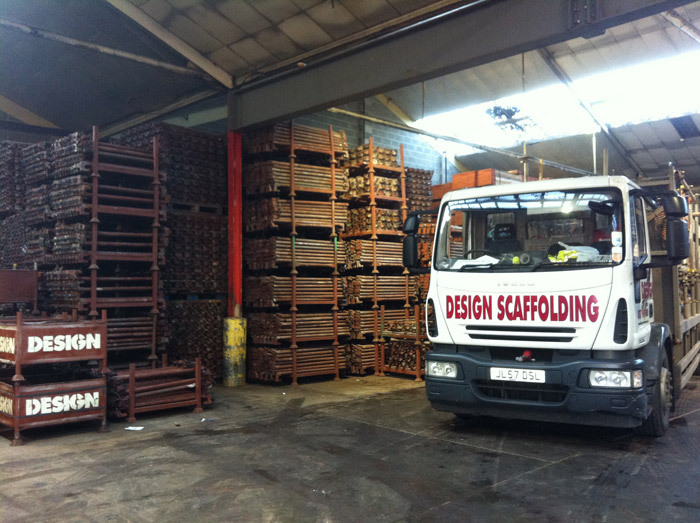 Any equipment that does not reach the high standards of Design Scaffolding or has come to the end of its life is taken out of service and recycled where possible. 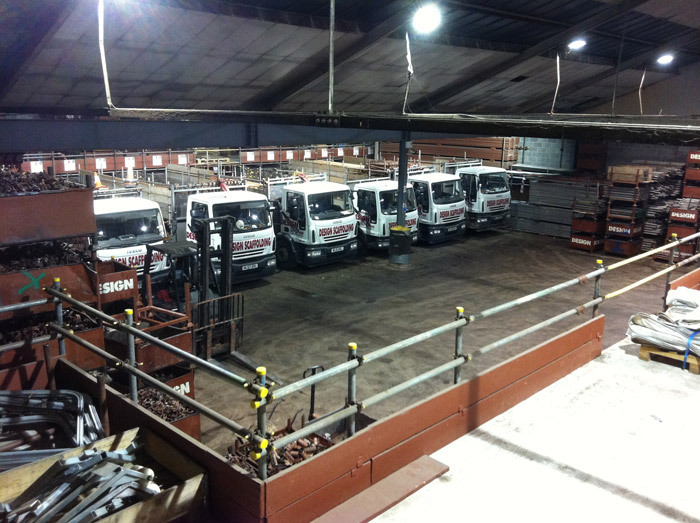 All equipment is maintained and serviced to the highest of standards. 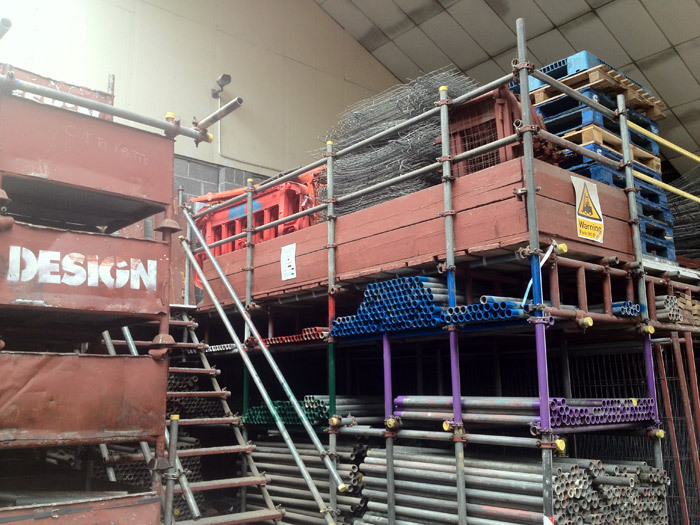 Staircase sytems are used to provide independent access or external access to scaffolding rather than the use of ladders. 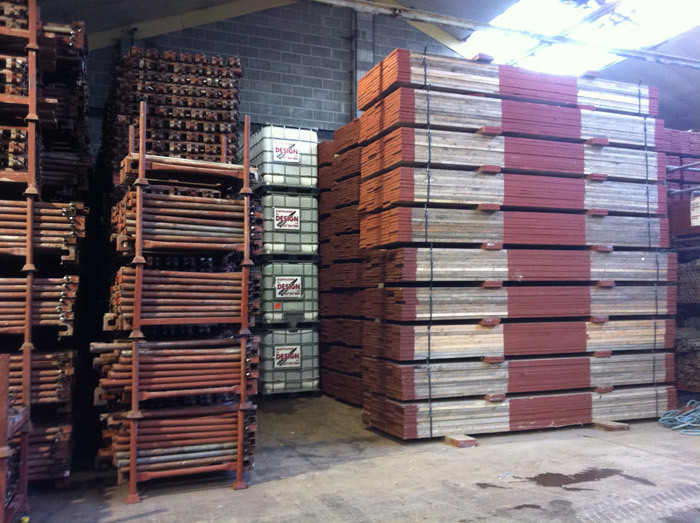 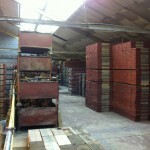 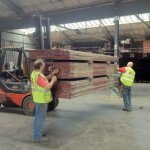 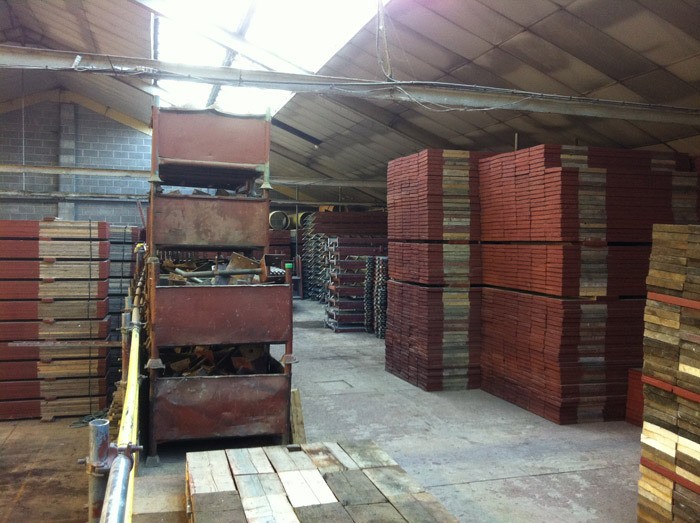 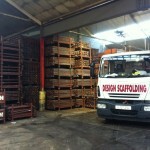 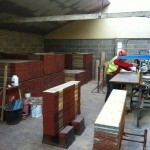 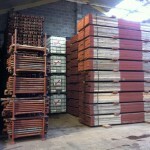 We have a wide selection of boards all cut to size to accommodate any scaffolding. 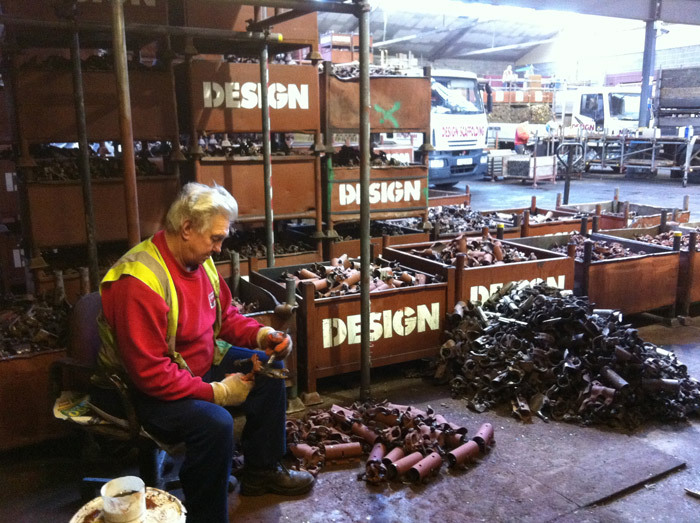 Fittings are serviced on a daily basis. 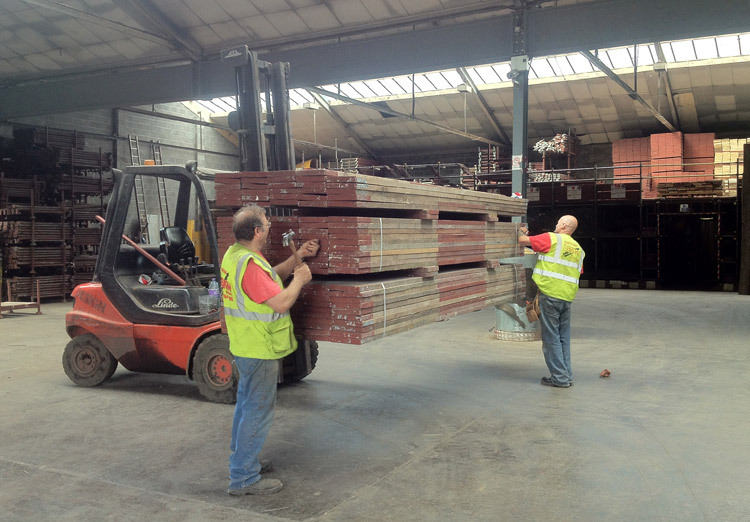 Bones and Enders (single and double ended transoms) are serviced and stacked ready for loading on to the lorries. 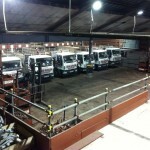 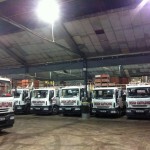 Lorries parked in the yard ready for loading/unloading. 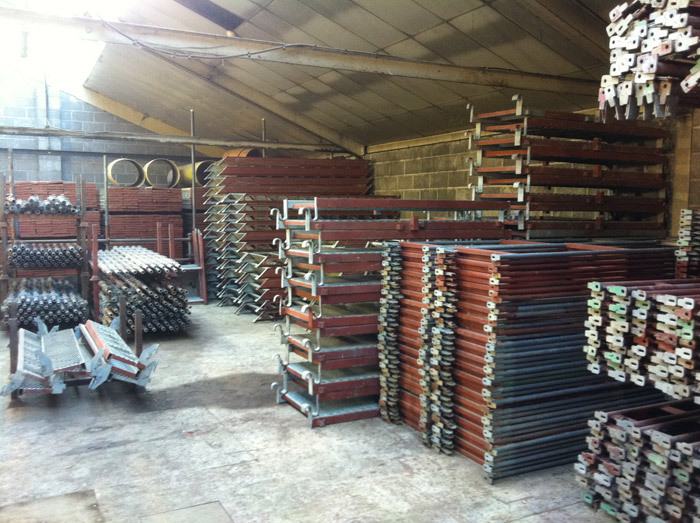 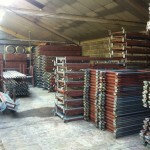 Tubes are cut to size and colour coded to accommodate various widths of scaffolding. 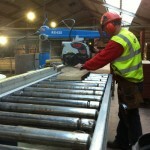 Four metre boards being serviced and maintained. 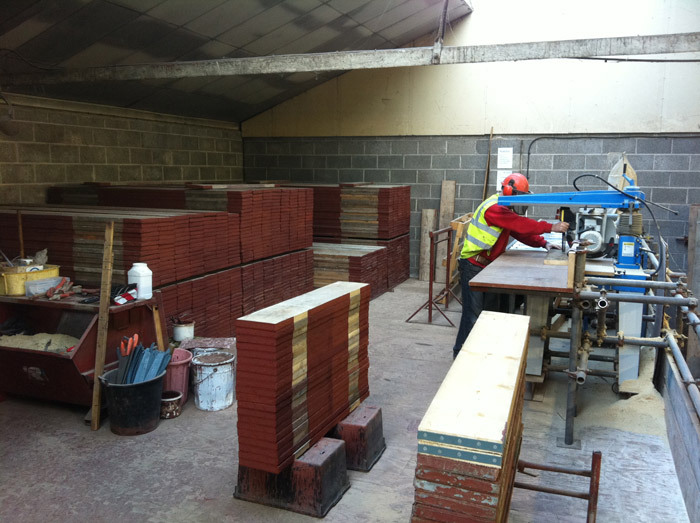 Any boards that have split or been cut are taken out of service and made into shorter boards.